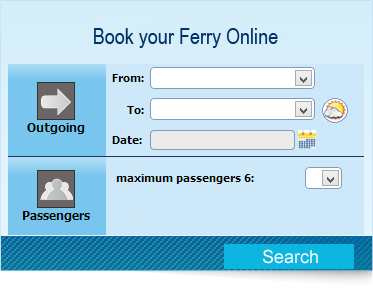 BOOKING WITH ONFERRY	Choose your way of booking with us. Book your ferry tickets online. Fill the reservation form in order to make your reservation online. Get in touch with us by calling our office +30 26610 21300 in order to make your reservation. Our representatives speak Greek, English, Italian and German. Camping on Board Camping All Inclusive	Do you always take your camper/caravan with you? No problem. Be the first to enjoy this new service tailored especially for you. Travel in comfort with your camper/caravan. Travel with all year arround (Adriatic Routes) with this exclusive offer. The offer is valid upon request. Subscribe to our newsletter and never miss a ferry deal!